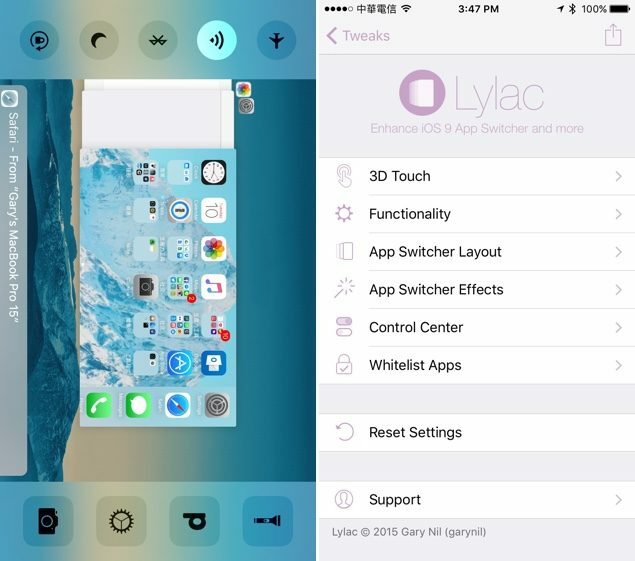 The newly released Lylac jailbreak tweak lets you customize the iOS 9 app switcher on iPhone in a lot of amazing ways, enhancing your overall experience of using your mobile device. The iOS app switcher has always been mundane at best regardless of how many times Apple has given it an update. 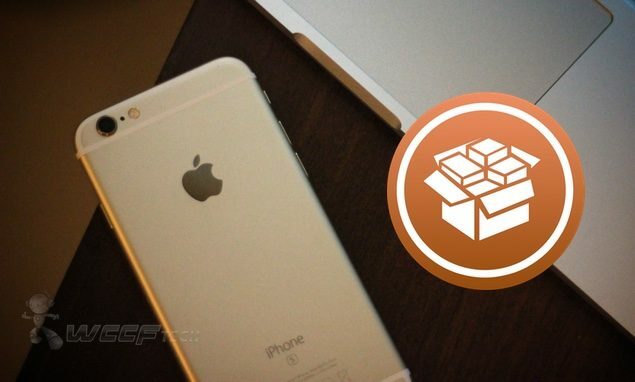 It’s been the jailbreak community that has always waded in to enhance its functionality and taking things to a whole new level, and the very same thing has happened today as well, with a newly released jailbreak tweak which goes by the name of Lylac, available to download right away. On the face of things, Lylac looks like any other feature enhancing tweak, but when you lift the lid and take a peek at what’s inside then things start to get better. Lylac hosts a bunch of cool features, and one of them is ‘Multi-Center’ which combines the app switcher and Control Center in a ‘seamless way.’ Instead of accessing the Control Center and app switcher separately, Lylac’s Multi-Center feature integrates the two in a way one couldn’t have imagined. Take note of this feature, Apple. iOS 9 on the iPhone 6s features 3D Touch and it allows you to switch between apps by pressing hard on the far left of the display. But with Lylac, you can simply trigger the app switcher by pressing hard on the far right of the display. A handy addition, given the fact that we naturally hold our smartphones using our right hand. Lylac gives you more power in your hands by letting you swipe up to close background apps, or swipe down in the app switcher to invoke additional actions. On top of that, you also have the option of whitelisting apps, so that they don’t close in the background even if you try to. Lastly, Lylac tops things off by bringing a great set of customizable options to the user, such as the ability to alter the amount of blur, offset effects and whatnot of the app switcher. Since Lylac is a feature packed tweak, therefore it comes with a price tag attached with it. Hence you have to pay $1.99 in order to reap the benefits of it, and the tweak is available to download directly from the BigBoss repo. The tweak is only compatible with the iPhone so be sure to keep that in mind before going ahead with the download.